The University of Hertfordshire: Calling all women working in STEMM! 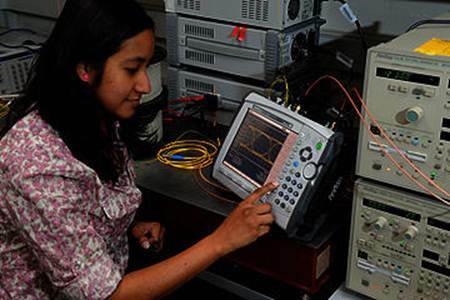 Are you a woman working in Science, Technology, Engineering, Maths or Medicine (STEMM)? Perhaps you are looking for some support in your career development, to join discussions, to meet and network with other like-minded women in STEMM areas, or looking for suitable mentoring? If so, the new Women in Science Network could be for you. This new network will help all women in their STEMM career development. Launching on Tuesday 20 May, the inaugural conference will showcase a range of work through case study and presentation from women researchers in Science, Technology, Engineering, Maths and Medicine (STEMM) at the University of Hertfordshire. And TV presenter and University of Hertfordshire alumna Kate Bellingham will provide a keynote address. Presenters include Professor Fiona Brooks, Professor Soraya Dhillon MBE, Dr Louise Mackenzie, Professor Janet Drew, Dr Ute Gerhard, Dr Cinzia Pezzolesi and Dr Wendy Wills. The conference will be held in the Lindop Building, University of Hertfordshire College Lane campus, Hatfield, AL10 9AB. Starting at 10am and finishing at 3pm, lunch and refreshments will be served during the day. Join us for this inaugural meeting of the Women in Science Network – we’d love to see you.